The Wilson DVD, entitled No Known Predators, is to be released on Friday 7th September 2012. 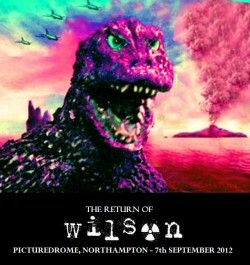 To celebrate, Wilson will be reforming for a special one-off show at The Picturedrome, Kettering Road, Northampton NN1 on Friday 7th September 2012. Tickets for the event cost £2:50, exactly the same as at Wilson's very first show in March 2001. The DVD will be available to buy at the Picturedrome show. Further availability details to follow. The DVD went off to the manufacturers today. Will definitely be out this summer. 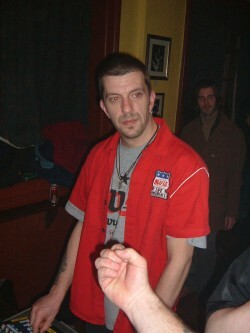 I've set up a Farcebook page: http://www.facebook.com/wilsondub. There are clips from the Wilson DVD to be seen on teh youtube. 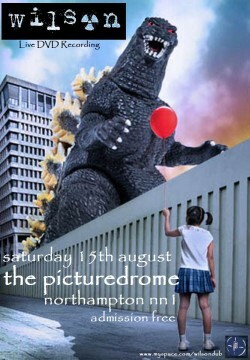 Northampton, England @ The Picturedome - Kettering Road - SPECIAL GIG! !